At Anderson Hay we offer a wide variety of feed products to service our customers’ individual needs. While our main products are Timothy hay, Alfalfa hay, and grass straws, we are able to offer additional varieties of hay and straw products by request. 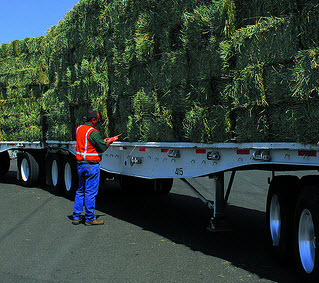 With harvesting locations throughout the Western United States, Anderson Hay is able to offer customers a wide selection and cuttings of premium forage products. Our harvesting activities begin in the Southwestern United States where warmer temperatures allow for our first cuttings to take place in the early spring and our last cuttings of the harvest season take place in the late fall. 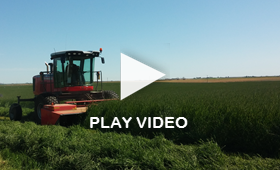 While the cooler climate in the Northwestern United States means a later start and earlier end to the harvest season, it is ideal for producing grass straws and several cuts of high quality, green Timothy and Alfalfa hays.